It is very positive that we’ve reached an agreement that regulates the basis for the Norwegian business sector to continue its trade in goods with the UK even if there is a no-deal Brexit, said Minister of Foreign Affairs Ine Eriksen Søreide. So far, very few countries have an agreement of this kind with the UK. The agreement retains important provisions on trade in goods, which are currently regulated by the EEA Agreement. All existing tariff preferences, including duty-free access for industrial goods, will be extended. As far as tariff-free quotas for trade in seafood and agricultural products are concerned, quotas will be extended for goods where trade has taken place in practice. The agreement does not cover cooperation on technical barriers to trade or sanitary and phytosanitary measures, but the UK has declared that it will, for a limited period of time, accept imports of goods from companies in Norway and Iceland that have been approved for export to the EU. More detailed negotiations on a permanent agreement for these areas will be held later. 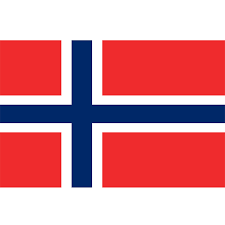 Norway has also entered into bilateral agreements with the UK on air and road transport, and talks with the UK on maritime transport services are under way. The agreement will provide a basis for negotiating a permanent agreement to ensure that Norway, Iceland and the UK retain as much as possible of the open trade arrangements under the single market, including trade in services. Norway will give high priority to starting negotiations on a permanent agreement as soon as possible.